Dance is an important factor of any event. Many special occasions like wedding cannot be completed without dance items. These dance numbers are generally performed by family members but there is a trend of hiring performing artists to make the event memorable. Nowadays many show organizers are providing international artists to shake their legs at desi stages due to high demands from the clients. .Bollywood style: - our local functions in Delhi is incomplete without shaking a leg on Bollywood numbers. 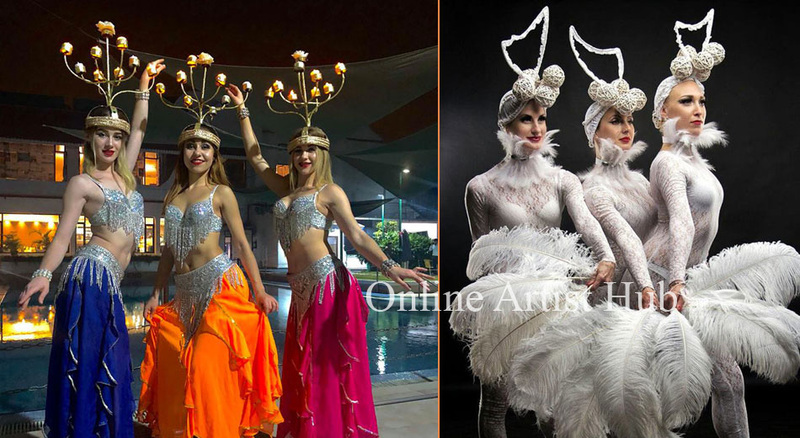 These Russians dancers are well trained in Bollywood songs and add a foreign touch to your event with their performances. .Bhangra Style: - these Russian dancers performs the bhangra style in very Punjabi way. They are able to make you shake your leg to the beat of dhol. .Belly Dance: Russians artists are known worldwide for their intricate style of belly dancing. This dance form is famous worldwide and is mainly performed in musical events. .Salsa style: - it is performed by one or more couples and is very famous international dance form. There are many other dance forms which are made available in events in Delhi.